JANOME sewing machines will make your sewing experience the best it can be. They are reliable, quiet, and come with wonderful accessories that make your sewing fun and easy. At Sew With Me we take great pride in educating our customers about their sewing machines and accessories so they can sew it all. 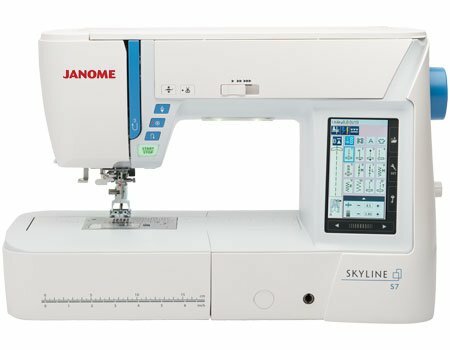 From basic mending to exquisit machine embroidery you can count on Janome sewing machines to do the job. Visit us soon and join the Janome World. 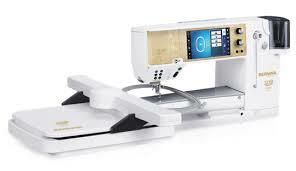 I have owned a long arm quilting machine for years, but I have never owned a product quite like the Handi Quilters! I LOVE the Infinity model, and the Sweet 16 is fantastic for people that have limited space and want the ability to quilt their quilts at home. Stop in and check them out in our Woodbury store where we have a variety of models and accessories galore. Sew With Me is a creative sewing center featuring fabulous fabrics for quilting, garment construction and home décor as well as a full line of Janome sewing machines. 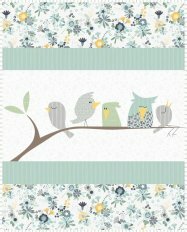 Our store is unique in that it stocks a large selection of Cuddle fabric, a large variety of Wonderfil thread, stabilizers from Bosal and jenny Haskins, as well as many other quality products. Our inventory is always changing and increasing to offer the fabrics and supplies you need for sewing, quilting, and crafting. As an authorized Janome, Bernina, and Hani Quilter dealer, we not only sell these wonderful machines, we offer reliable on-site service and repair. We are also home to our exclusive SEW WITH ME club given to all of our sewing machine customers. Free education, discounts, and service benefits come with every machine purchase. Our wonderful staff is experienced and knowledgeable, constantly learning about the most innovative techniques, knowledge and products in the industry. Sew With Me is dedicated to being your sewing center of choice. You can always count on us to have new samples, classes, and information year round.